Kaz Schoonebeek (assistant to the director), Lotte Milder (costumes), Casper Wortman (video assistant and performer), Jelle Hoekstra and Nick Bos (performers). at the Nationaltheater Mannheim. Opening night: April 16, 2016! After working for a year (2012-2013) on the video libretto for this new opera by the Austran composer Bernhard Lang, we're now directing the world première in Mannheim. It became a high tech opera, with 11 projectors driven by 5 minMac's. We use the Troikatronix Isadora software to drive them all wirelessly. This opera and video libretto is the basis of a practice based REsearch into the influence of a video based libretto in an opera. - this is work in progress - dec. 2016. It is a RE Search, as it tries to re-document the artistic process during these last years (2012-2016). What if the libretto for an opera wouldn't be a scripted play, but a silent movie? How - if at all - would that change the concept of an opera? In this project, Peter Missotten created an enigmatic silent movie, loosely based on the book of Gustav Meyerinck 'Der Golem'. It was the basis for the new opera by Bernard Lang, which was staged by Peter Missotten into a high (and low) tech opera for the Opera of Mannheim in 2016. Unexpectedly, it turned out that the video-libretto didn't have so much of an influence on the storyline of the opera, but had a big impact on it's structure and the music itself…. The content of DER GOLEM is on one hand the mystic side of life we tend to ignore, and the technological side of life we tend to embrace. After staging (direction and stage design) 'Montezuma' in 2011, an opera by Bernhard Lang for Nationaltheater Mannheim, the intendant Klaus-Peter Kehr asked Bernhard and me to consider a new opera project. Both Klaus-Peter Kehr and me, considered the libretto as the weakest link (or the trickiest part) of any contemporary opera. What stories can and should be told in contemporary opera? Opera as a medium stayed a mystery to me through all these years: these last years I jokingly called it a 'pneumatic medium'. It's all about compressing and releasing air in a well controlled fashion. This is not intended as an insult: the enormous virtuosity and physical constraints of singing an opera can't be stressed enough. In my first years as a director, I advised the singers to relax on stage. Just act normal. But that's quite a ridiculous demand to singers when every muscle in their body is at work to produce these incredibly complex notes of a contemporary opera. During the years as a director, I learned to use the physicality of the singing itself, as the basis fro the movements of the singer and their character. If an opera is well written for the voice, most movements are almost incorporated in the singing. Strangely enough: that's quite a new approach for a lot of singers. Most of the time they try to combine some - very classical, psychology based - acting with the singing, as two very different jobs acted out at the same moment. Sometimes, they're very good at that, but sometimes it feels like a strange dichotomy. Opera is not the best medium to tell elaborate stories (unless you're a huge Wagner fan): it takes ages to sing them and it's almost impossible to follow unless the spectators stay glued to the subtitles (actually super-titles) all of the time. A real opera buff knows the story by heart beforehand. That's fine for the great classics, but especially problematic for a new creation. If opera fans don't like a new creation, that's one of the main reasons. They just don't get the story. It's pretty weird for singers: spectators tend to look away from them, watching the sky (the super-titles), each time they start singing. It's a strange and quite new form of alienation, originated in technology: the super-titles. Incorporating these subtitles in the set design could be a solution which i considered at every staging o a new opera, but it always ended up to be practically impossible. It would have a huge impact on the set design, reducing it almost to subtitles. 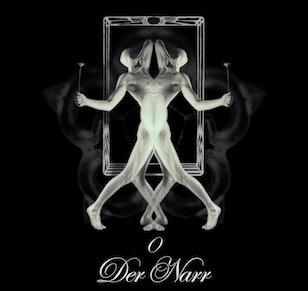 For your new opera project at Nationaltheater Mannheim, Klaus-Peter Kehr, Bernhard Lang and me wanted to go beyond the 'usual' approach to a story. We came up with concept of a 'performance based video libretto'. It's a great and fancy sounding concept, but at the same time it did hide quite a fundamental question: What will the singers actually sing? Remarkably, the urge for experimentation was strongest with the intendant Klaus-Peter Kehr (not really the youngest amongst us three): even if they wouldn't sing anything, it still could become an interesting opera project. Why not getting rid of the story all together? This open minded view at things, exposed the differences in opinion. I wanted at least some kind of an enigmatic, mystic feeling as a story line. Although I like to find out new conceptual approaches to theatrical stories, I have some kind of a 'horror vacui' - the fear to end up in a vast space of unlimited possibilities. In most of my previous projects, I somehow hang on to some kind of flimsy story lines, almost as the frame of the piece. It always makes me feel like a coward, but especially in these big productions, I somehow feel the need to have a storyline as a handrail during the process. Encouraged by the enthousiasme of Klaus-Peter Kehr, I felt confident enough to let go of the handrail. Bernhard Lang on the other hand was not so keen on experimentations with incomprehensible storylines anymore. He has done it quite a few times, such as in 'Der Alte vom Bergen', and was a bit fed up with public reactions to these experimental pieces. We've had a few reunions in 2012 on that subject, trying to find some common ground for this new opera project. At one point, I suggested 'Der Golem' by Gustav Meyerinck, as a starting point. In 2008, I directed with co-director Peter vandemeulebroecke a performance in a glass house in a public park, based on that book, produced by Toneelhuis Antwerp. At that time, Peter Vandemeulebroecke did the remarkable adaption of the book, as an offscreen monologue interieur. This book immediately parked some enthousiasme with Bernhard Lang, as it was his favourite book as a youngster. 'Der Golem', it would be.